PCSing to a foreign country can be quite intimidating. You don't know the language, the customs, the culture. You can't read the signs. Everything is based on the metric system, from road distance to recipes. It's a lot to process in a short amount of time, I know. But a few simple tips can help you get around so much better. I find that many Americans move to Germany and never learn the language at all. They may be able to say hello (which can be done about a dozen different ways), and they probably know how to say, 'Do you speak English?' (Sprekenzie English?). This is NOT enough, peeps. How many Americans do you hear complaining about those in our own country who don't speak English? Let us not be hypocrites, my friends. I know I'm taking a slightly aggressive stance here, but I find it rude to reside in someone's country and not at least attempt to speak with them in their own language. I'm certainly no expert, and I definitely can't speak fluent German. But I'm doing my best to communicate in the national language where I can, and I am so appreciative of those locals that do speak English. Don't let a foreign language overwhelm you. You don't need to be fluent. You don't even need proper grammar (though it's a bonus, and you should graduate to proper grammar at some point). You really just need to try. You won't believe how much a little effort is appreciated and rewarded. 1. 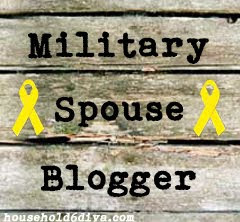 Rosetta Stone - this used to be offered free to military members until just a few years ago. Unfortunately, the program was cut when new management took over. However, I suggest looking into discounts, borrowing from friends, checking your library. Often, people moving away will be selling their program, so check yard sale pages. This is a great program that lets you learn at your own pace, and in a extremely simple way. If I can do it, so can you, right? I started before we left to move, but I have to be honest... I've been slacking since we arrived. There is so much to see and do! I'm catching up now though. So I suggest learning the basics before your move if you can. 2. Alternatives to Rosetta Stone - there are many apps and online classrooms that are cheaper alternatives to Rosetta Stone. Check out Live Mocha, DuoLingo, 50 Languages app, or Busuu. Check out the app store on your phone for even more options! 3. Phrase books - these are super handy to carry around with you on the go. Bookmark sections that are most useful to you. For example, before you go out to dinner, highlight common phrases you might need such as, "I'd like a glass of…", or "Check please…"
4. 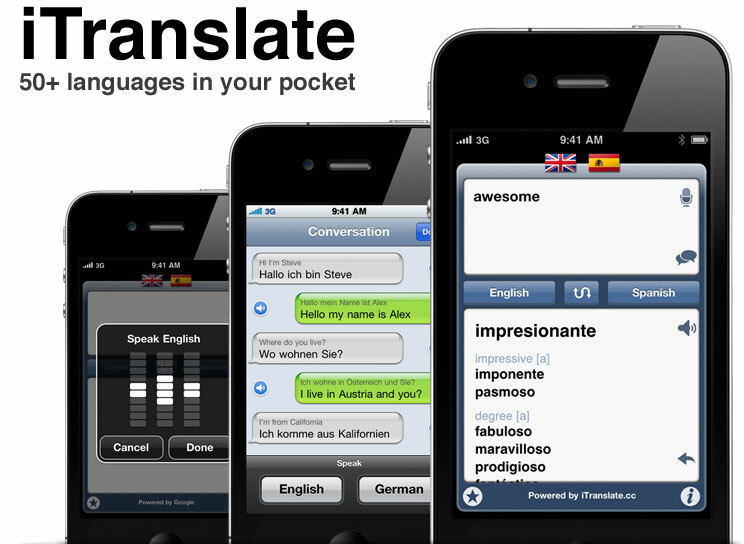 Translator Apps - these are fantastic if you carry an internet plan on your phone. They are especially great for reading menus. Many, such as Pixter Scanner and Word Lens, use your camera to scan the page and provide possible translations. Or, try voice recognition translators like iTranslate. 5. Do some research - If you're headed somewhere specific, to complete a specific task, try a little research first. Google translate is an excellent resource. Let me explain what I mean: I want to go to the hardware store to make copies of my house keys. Rather than showing up, bumbling around, and asking everyone if they speak English, take the time to do a bit of research. Use Google translate to write down what you want, then show this to the store clerks if necessary. You can also write down other basic phrases to help you out. 6. ACS classes - Often, your local ACS (Army Community Services) will offer several weeks of introductory language skills. These are free classes, people! Sign up, go, absorb, and spend time with people who are in the same boat as you. This is a great opportunity to share and ask questions of a real, live person. 7. Conversation Clubs - I don't know about other posts, but Hohenfels offers a conversation club through the library. Check your post for similar groups! 8. Make friends with people who speak the language - I've met several spouses just on my street who speak German, either because this is their original home or because they've learned over time. If your friends are fairly fluent, ask them to teach you phrases when you're on the town. Don't let them speak for you, this is very important!!! Ask, repeat it to them, then use the phrase yourself. You won't believe how quickly you pick things up simply by doing them in context. 9. Take a Class - there are lots of colleges that offer online language classes. Sign up for one, or look for one locally. 10. Ask the gate guards (or local civilians that work on post) for phrases - Every time I'm at the grocery store, or coming through the gate, or getting my car looked at… all these are great opportunities to ask questions! 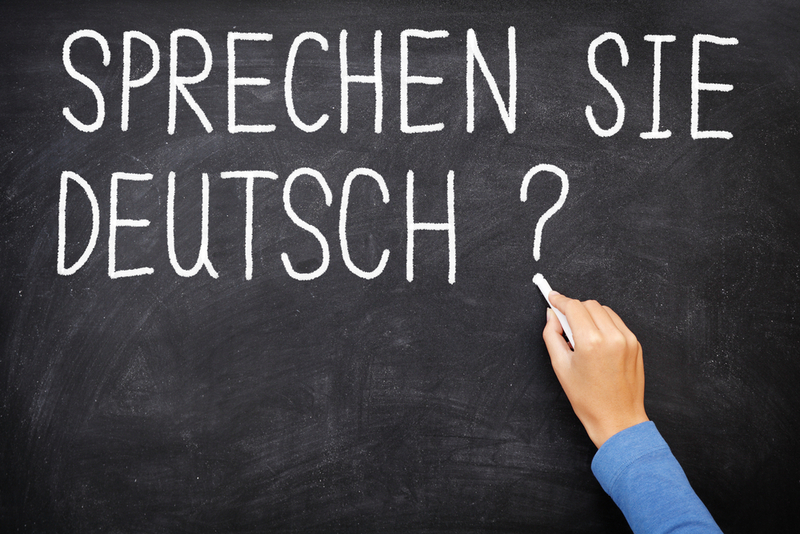 Simply say, "How do I say this in German?" I've learned lots of new words this way, and it helps to use them in context like that. 11. Use Your Words! - Don't be afraid to use your skills, however awkward they may be. You won't improve unless you try. Believe it or not, people appreciate your effort. It doesn't matter if your grammar is wrong, or if you sound like a child just learning to speak. If you can't say the full sentence, then at least use the words you know. This not only helps you remember, but also shows people that you want to make an effort to communicate in their language. 12. Practice at Home and in Your Head - Seriously people, I started speaking to my dog in German at home! It helps to say the words out loud, and learn basic phrases that I use all the time. I taught my Lucy dog to sit and lay down in German. I also learned to say "in a minute", haha. And I learned the words for breakfast and dinner this way. The Hubs and I try to use German phrases at home when we can as well. I don't just talk to the dog, I swear! 13. Learn my favorite phrase - Ok, so seriously... no laughing, ok??? But when the Hubs and I found out we were moving to Germany, I learned this phrase first. "Ich bin ein dummer Amerikaner, bitte helfen Sie mir. Sprechen Sie Englisch?" which basically means, "I'm a stupid American, please help me. Do you speak English?" Seriously though, this works!! I say it with a big smile on my face, and I shrug my shoulders. Most people find it hilarious, and they're ready to be instant friends. Don't discount the use of humor to help you get around. 14. Get a Tutor - If you're having an especially difficult time learning even the most basic phrases, you can always hire a one-on-one tutor. This kind of focused attention is great for people who have a hard time picking up languages. 15. Watch TV, Listen to the Radio, and Read Magazines - This works!!! Turn your TV to the local channels and let it play all day long in the background. Sit down and watch shows, even though you may not know what they're saying at first. Tune your radio to a German station, and buy local magazines that you can translate at home. You'll really start to pick up phrases quickly this way. 16. Post It Notes - This may make your house look a little crazy for a while, but I once used post-it notes to label objects in my house. This helps with your vocabulary a lot. Every time I opened a cabinet or looked in the mirror, I said the corresponding vocabulary word. I'm a really visual person, so this was a huge help to me when I tried learning Italian a few years ago. 17. Children's Books - These are a great way to learn the basics of a language. Go to your local library and check out books in the language you're trying to learn. You'll be surprised how much this helps you. 18. 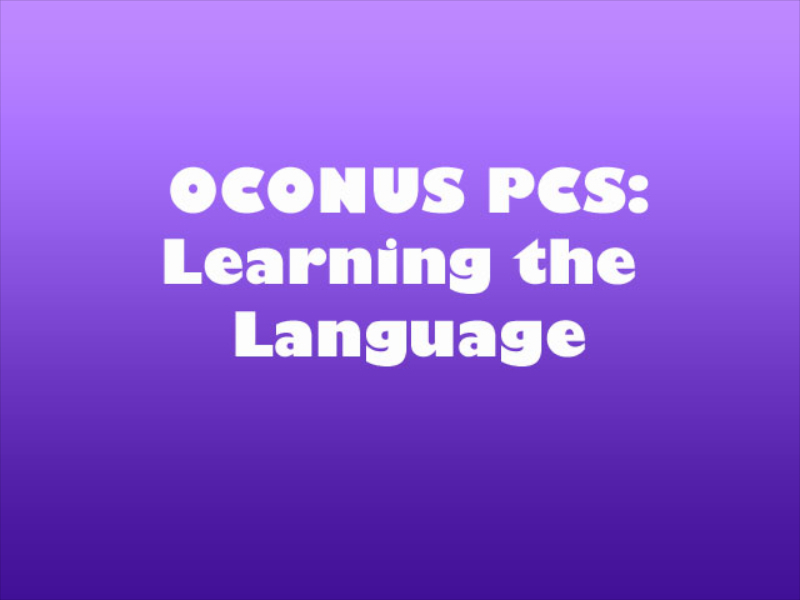 Practice with Friends - When you PCS to a new place, remember that you're not the only person experiencing these language barriers. All of us are in the same boat! Practice with your new friends and help each other. Having a supportive group of people, who are focused on the same goal as you, is huge. 19. Last, but not least… have fun!! Don't make learning the language an awful thing. This doesn't have to be like school, or some dreaded task you have to accomplish. Honest to God, I usually reward myself for every ten new words learned by teaching myself a dirty word in my new language. This may not be your method, but it makes me laugh and I love it. Or I let myself pick out some great pair of earrings I really wanted, and when I reach my goal I get them. Find what makes you happy, and do it. UPDATE: Here's an extra tip shared from fellow blogger, Kimmy in Germany! She says, "I'll add one more to your list: classical radio stations (like BR-Klassik) have news on the hour every hour, and it's delivered in a nice clear, slow, and soothing pace. I've learned a lot this way, and from many others you describe." I think this is an absolutely fantastic idea. Unplug your iPod and tune those stations locally… I'm going to do this today! So that's all for now my friends. I hope some of these tips, however unconventional, help you out. If you've got some ideas and suggestions, feel free to add them in the comments below. I love hearing from you. And remember, you're not alone in your language struggles. Hubs and I have been in Germany nearly a year, and I'm just now comfortable ordering food in restaurants. What's important is that you try. There are many ways to learn a language but for sure it needs dedication to learn it thoroughly. Hubby and I are moving to Hohenfels at the end of September.